A group of male spotted hyenas – collectively known as a ‘cackle’ – can now be seen in a new drive-through enclosure at Longleat Safari Park. These magnificent sub-Saharan hunters are known as ‘laughing’ hyenas due to the bizarre giggling sounds they make when excited. The ‘laugh’ is one of up to 12 different vocalisations the hyena can make, most of which can be further adapted by individuals to alter their meaning. Far from being mindless scavengers, spotted hyenas are highly intelligent animals and extremely sociable creatures. “Contrary to popular belief, they’re also extremely effective predators; hunting up to 95% of the animals they eat”, explains Longleat keeper Amy Waller. 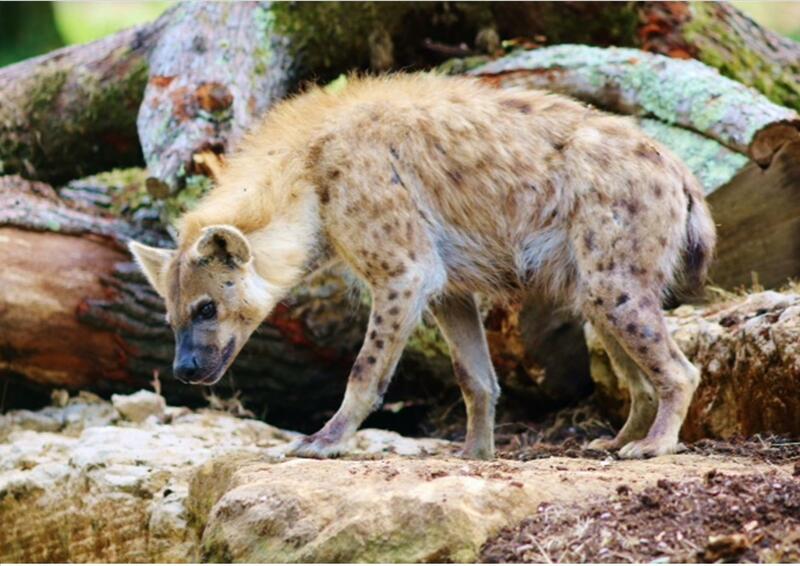 The Wiltshire safari park is the only one in the UK to look after spotted hyenas, which are now located in the carnivore section, between the between the resident cheetahs and wolves. “The aim is to introduce visitors to a species they hardly ever get the opportunity to see and to highlight they’re just as impressive and worthy of our respect as big cats like lions and tigers,” added Amy. The hyenas arrived at Longeat this summer along with a pair of endangered Amur tigers, who are part of a European breeding programme.